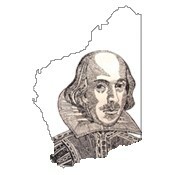 The Shakespeare Club of Western Australia ran a competition this year in honour of the 400th anniversary of Shakespeare’s death. It was for a sonnet, in classical Shakespearean form, with a Western Australian theme. My sonnet, ‘The Wild Geese’, about the American ship Catalpa’s rescue of Fenian prisoners from Fremantle Gaol in 1876, won the $200 second prize.